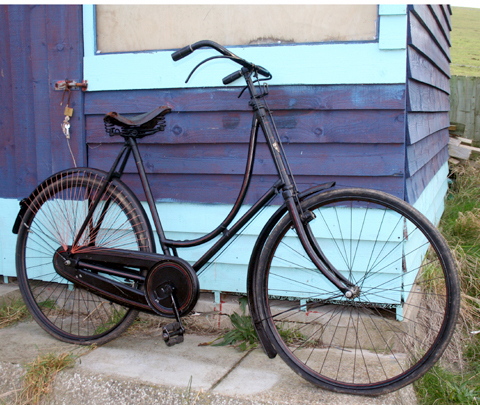 Don’t you think this 1903 Rover bicycle looks surprisingly modern? 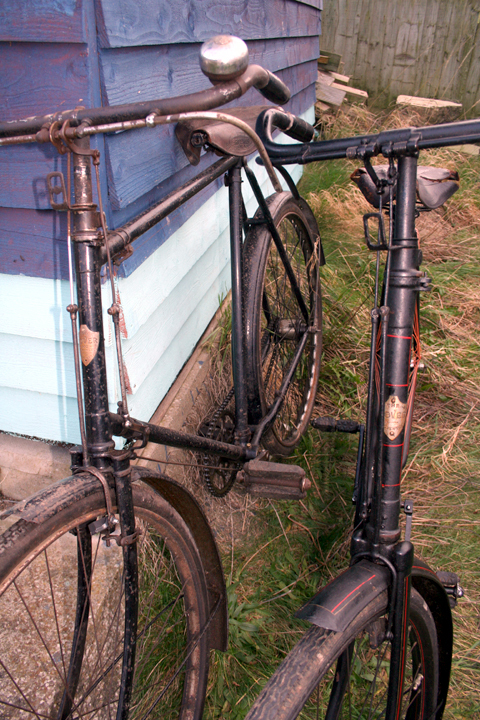 Not a lot has changed in 100 years of bicycle design and manufacture. According to A History of Rover Cycles, the style of badge found on this Meteor Rover No 2 was introduced for the 1901 Meteor models and, by 1904, the Meteor No 1 and No 2 range had been discontinued. 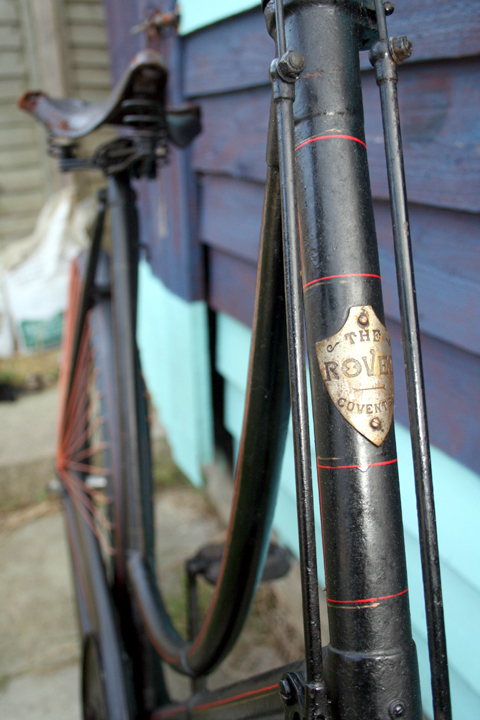 I’ve restored the Rover Meteor Gents bike mechanically, and it’s enjoyable to ride. This 1910 Lady’s Rover is in superb original condition. Even the lining on the paint is intact. The Lady is ready to ride. It’s pictured above outside my friend Tony’s house. It’s interesting that there are probably more vintage lady’s bicycles to be found in good original condition than gent’s models. Although women were delighted that bicycles offered the freedom of independent personal transport, having purchased one, often they did not use them regularly. 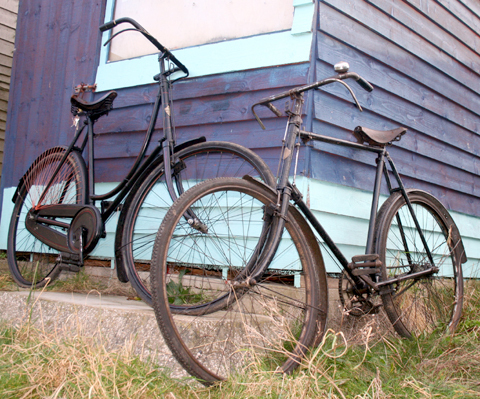 The 1903 Gents Rover and 1910 Ladies Rover have been living happily in my shed for a while now. I was hoping that if I didn’t disturb them we might at least end up with a baby Rover bicycle. But nothing yet. Maybe it’s that inhibited early Edwardian era they come from that’s to blame? Or perhaps I forgot to formally introduce them? More likely they’re just too shy to get intimate in front of the gossipy Sunbeams they share the shed with. The 1st Rover prototype 8hp was completed on July 1 1904. 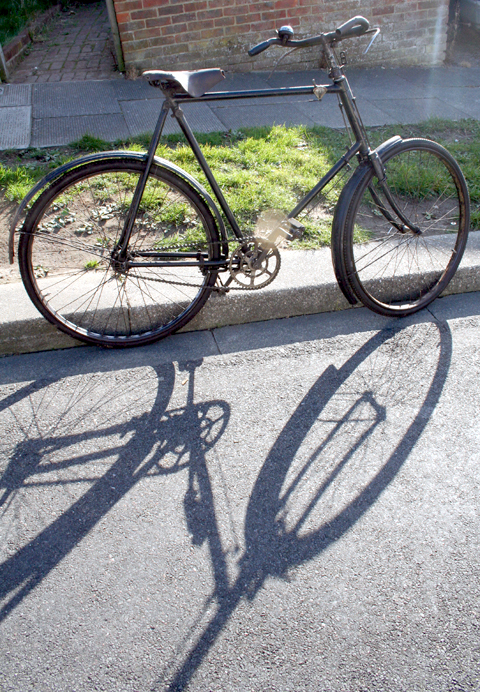 Bicycle design today has not changed much since the introduction of the Rover Safety Bicycle in 1885. The year 1885 is a landmark year in the history of bicycles, and it is generally held that this was the first bicycle of this design, even though cycles with similar features had been around since 1878. 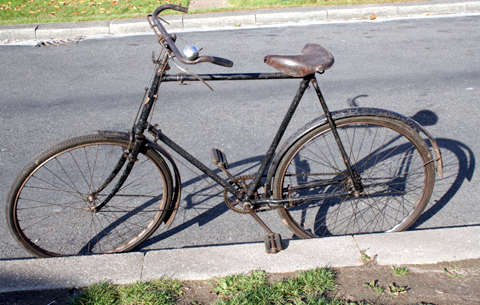 The inventor of the safety bicycle was claimed to be Harry John Lawson: his lever safety bicycle of 1876 is exhibited at the Coventry Transport Museum and his patent was registered on 30 September 1879.Lawson had been instructed by a relative to make his bicycles safer and this he set out to do. Harry Lawson also claimed that he invented the first petrol powered motorcycle and also patented that on June 25th 1880. He also claimed to have been responsible for the repeal of the act that insisted on all motor vehicles being preceded by a man with a red flag. There is no doubt that Lawson wanted to totally control both the cycle and motor vehicle market but he was later sentenced to a years hard labour for fraud. He was undoubtedly at the forefront and one of the pioneers of motor transport but it seems he was also prone to exaggeration and sharp practice at times. 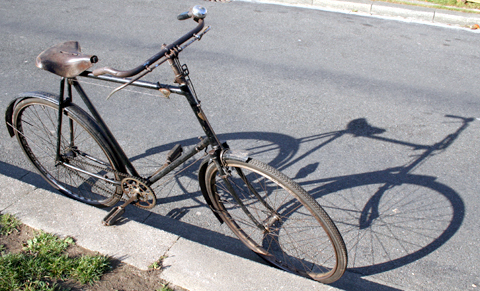 However, the Rover was the first safety bicycle in production. John Kemp Starley, its designer, and his partner William Sutton started The Rover Cycle Company Ltd. in 1877. The Meteor Works were set up in Coventry to produce the machines. The factory was named after the Swift Comet of 1883. While cycles had already achieved more or less their optimum design specifications 1903, cars, of course, were still very much in their infancy. 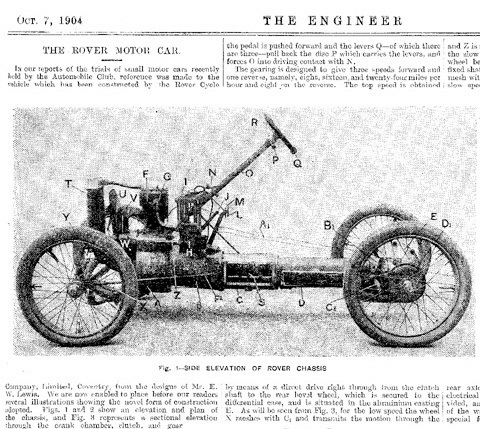 In 1904 the Rover Cycle Co brought out their first car, below. “In our reports of the trials of small motor cars recently held by the Automobile Club, reference was made to the vehicle which has been constructed by the Rover Cycle Company Limited, Coventry, from the designs of Mr E.W Lewis.